Carey Lohrenz knows what it’s like to work under extreme pressure. As the U.S. Navy’s first female F-14 Tomcat pilot, she flew missions around the world. In the cockpit, there’s little room for error. Fearlessness is part of the job description. That’s a lesson Lohrenz wants more professional woman to master, and it’s the topic of her keynote speech at this year’s PGA TOUR Executive Women’s Day, which will be held Tuesday, March 10 during this year’s Valspar golf Championship at Innisbrook. That lack of courage even shows itself in networking, a skill Lohrenz also believes is critical for success. “Women don’t always value networking as much as we should because we think our performance should speak for itself,” she notes, adding that having a strong network when life gets rough– both personally and professionally – is key. Lohrenz praised the PGA Tour and Executive Women’s Day sponsor Astellas Parma US, Inc. for bringing together women in a powerful way. Women who attend the event will take away lessons on how to live well and work smart. It’s for women who have been in leadership roles for years, or others who want to learn how to overcome the barriers that may keep them from success. Retired from the Navy, Lohrenz is a married mother of four who owns an executive coaching and leadership training firm. She is the author of “Fearless Leadership,” which earned a place on the Wall Street Journal’s Best Seller list for 2014. More than 200 women are expected to attend PGA TOUR Executive Women’s Day, which will includes panel discussions moderated by Angela Ardolino, Founder of Tampa Bay Parenting Magazine and talks by Elizabeth Frazier, Executive Director, Lightning Foundation & Vice President, Philanthropy & Community Initiatives, Tampa Bay Lighting; Dr. Catherine Lynch, Associate Vice President, USF College of Medicine; Karyn Talarico, Senior Vice President, Private Advisors, BB&T Wealth; and Kim Welch, Vice President, Communications, Valspar. 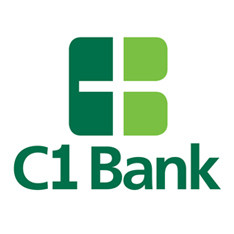 Look at the Board of Directors, Officers and Executives of St. Petersburg-based C1 Bank and you’ll find something unusual – the names of women. While the banking and financial industry has long been dominated by men, the women of C1 Bank are proof that hard work and networking are the keys to success – no matter your gender. The number of women in the corporate suite at C1 “was really through networking,” says Lynn Woods, executive vice president for human resources. After bank president and CEO, Trevor Burgess, tapped Katie Pemble for the job of executive vice president and Florida Market President for C1, she reached out to Woods and former colleague, Rita Lowman, who now serves as chief operating officer and is the highest-ranking woman at the bank. The three women worked together at other financial institutions, or served on community boards together. Not only does C1 have a significant number of women at the helm, its workforce is 64 percent female. C1 made national headlines in April, 2014 when it announced it would provide a minimum living wage of $14 per hour to all full time employees, a change that bank officials noted would have an impact on families that have women as the sole or primary breadwinner. C1 Bank is a proud sponsor of Working Women of Tampa Bay’s Leadership Series, and provides space for networking and other events throughout the year. Wherever you are in your career - executive, entrepreneur or intern – Working Women of Tampa Bay you’ll give you the chance to meet dynamic women who share your interests, learn new skills with our valuable programing and gain the support of others who revel in your success. 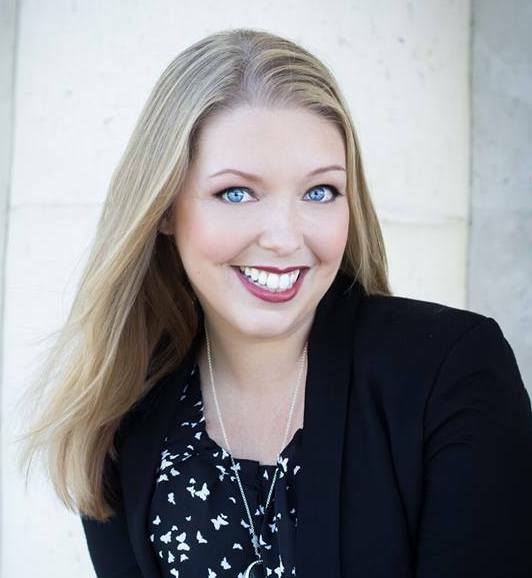 Lauren Tice is proud to be the newly appointed Director of Development for Working Women of Florida. She was born and raised in Temple Terrace, Florida and attended Blake High School for the Performing Arts with a concentration in music. A proud alumni of the University of South Florida, she obtained her Bachelor of Arts in Communication, with a concentration in Relational Communication. While in college, Lauren was active in the University Singers along with several organizations, including Lambda Pi Eta Communication Honor Society and Phi Sigma Theta National Honor Society. Lauren is no new comer to the world of networking, she worked for the Greater Temple Terrace Chamber of Commerce for nearly five years as their Coordinator of Member Services. Among her responsibilities she planned several networking events, was in charge of member services and had a key role in maintaining all social media for the organization. She was the original founder of the YEP (Young Elite Professionals) networking organization within the chamber and planned numerous events and programs for several years. Lauren, a natural entrepreneur by heart then started her own social media training consulting business to help individuals and small business owners learn how to use social media. Most recently,she worked as Director of The Regent, an event venue. Lauren was in charge of several events including weddings, community events, fundraisers and more. As part of her role in the community she was involved in several networking organizations such as both the Greater Brandon Chamber of Commerce, Greater Riverview Chamber of Commerce, Brandon YP, Southshore Young Professionals and of course Working Women of Tampa Bay. A proud resident of Riverview, Florida she loves to travel and get the most out of life. In her spare time she enjoys visiting the beach and supporting the USF Bulls whenever she gets the chance. We've got a sweet success story to share at our 2nd Annual State Conference at Ruth Eckerd Hall in Clearwater. You can hear Kim speak on September 12th at the Working Women Annual Conference. Working Women of Tampa Bay is proud to announce we've chosen Dawna Stone to headline our Keynote Lunch at our First Annual State Conference. 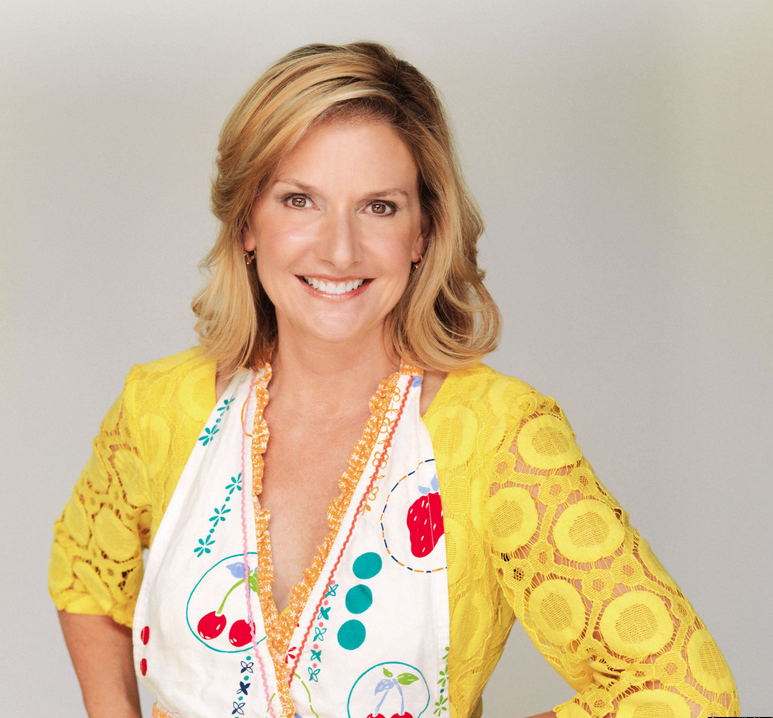 Dawna Stone is a health, fitness and wellness expert who has appeared on The Today Show, MARTHA and morning news programs on NBC, CBS, ABC and FOX. She founded Women’s Running magazine and the Women’s Half Marathon series, which has helped thousands lead healthier lives. Dawna won NBC’s “The Apprentice: Martha Stewart” show, hosted “Health and Fitness Talk with Dawna Stone” on Sirius Satellite Radio and “Healthy Living with Dawna Stone” on FOX. 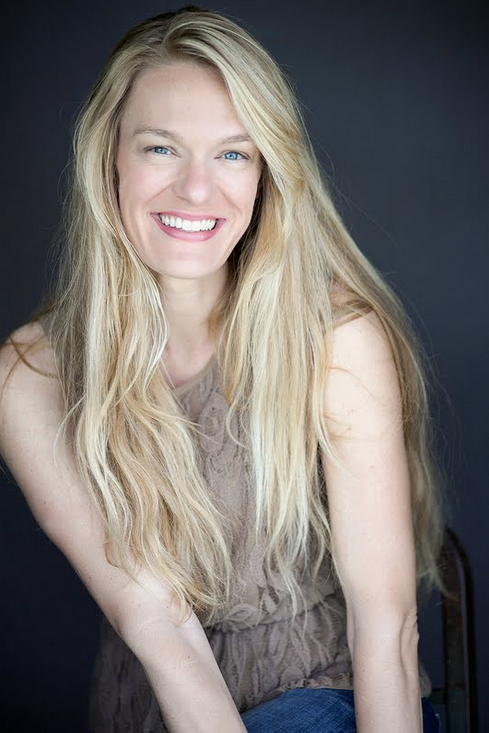 Her first book, “Winning Nice” made Amazon’s list of top 100 business books, while her latest book, Healthy You!, was just released to rave reviews. 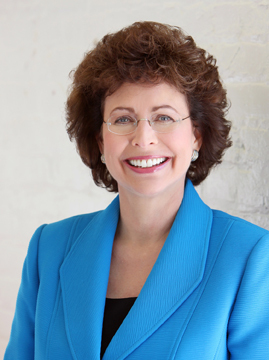 Working Women of Tampa Bay is proud to announce we've chosen Former Tampa Mayor Pam Iorio to headline our Keynote Breakfast at our First Annual State Conference. In addition to her leadership speaking, Iorio is the Leader-in-Residence at the John H. Sykes College of Business at the University of Tampa; serves on the advisory board for Celestar Corporation, a fast-growing knowledge and technology consulting company; serves on the board of the USF Foundation; and served as the interim CEO of the Children’s Board of Hillsborough County. Along with a BA degree in Political Science from The American University, Iorio holds an MA degree in History from the University of South Florida. She is married with two children. Traditional business “wisdom” was that work was not supposed to be fun, that’s why it’s called work. In reality, this is neither true nor wise. Humor is a great way to reduce stress at work. Happier people at work are more productive, better team players, and healthier, which translates into greater profits. Chris Robert, professor of management at the University of Missouri College of Business, says joking around on the job and humor can actually have a positive effect on productivity and employee retention. Proclaimer: Choose the ones that suit your sense of humor and are likely to be successful in your office, then label yourself Fun-Inspired! Here are 10 Tips for adding fun and productivity to your workplace beside being a likeable person! 1. Have a company team-building day! This does not have to involve swinging from ropes or falling into the arms of the person you can’t stand. Hire a professional to customize a day of fun and games that will appeal to the personalities of your team and address the issues you face and goals you want to achieve. The grouchiest person in the office often lightens up when given the chance to play. Teambuilding helps coworkers create a new dynamic based on shared laughter, not forced trust. 2. Humor encourages teamwork by building a sense of camaraderie. Have your group(s) come up with its own goofy cheer with each person contributing a line. Use it to start or end each meeting or as needed to reduce stress. 3. Even a candy jar can be fun. Put one on your desk and anyone who takes a piece must pay you a compliment. This is a win-win! 4. Have an office mascot - any funny looking doll, puppet, or inflatable dinosaur will work. The mascot will travel the office once a day, with each employee writing down the 1st thing that comes to mind when it reaches their desk. Read some of these musings at the next meeting and try to guess who wrote what. Be sure the mascot is included in all company photos. 5. 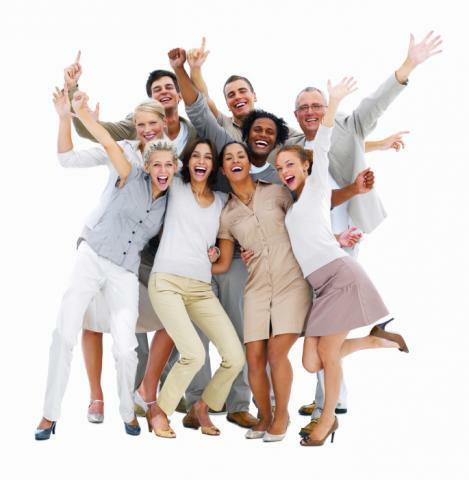 Have a contest for ways to improve workplace morale. Vote on the best idea and implement it! Be prepared to hear “Fire Management”. Have a sense of humor and “fire” yourself at the next meeting, then rehire yourself on the condition that you’ll value employee input and start putting their fun ideas to work. 6. Liven up meetings by using silly props such as a funny microphone shaped like a bird. You can only talk when it’s your turn to “squawk”. Any prop will do, but the wackier the better. 7. Have a humorous celebration once a month giving small awards or certificates to people for “nonsense” things such as, who had the neatest desk, who broke the copy machine, whose hair is never out of place. 8. Simple praise and recognition are fun to give and fun to get. Appreciating people goes a long way towards creating a happy workplace. Have a crowning ceremony for shining stars with a crown, music, and receiving line to pay the VIP personal and public praise! Don’t just think good things, say them. 9. Have a team brainstorming session to resolve workplace challenges such as a specific customer service issue, or how to increase sales. Each staff member will write down a serious suggestion and a humorous one. Give prizes for the best idea in each category. 10. Create monthly opportunities for people to know something about each other outside their work role which creates a fun-friendly environment. Try a talent show in the office where everyone can showcase a personal talent they have, or a group trip to the local bowling alley for some lighthearted fun. What are some of the things you think add fun to the workplace? For more information on how Shannon Spring can bring more fun and productivity to your workplace visit JustHumorMe.com. When I ask people how long it takes to form a first impression, I receive the typical response of three to seven seconds. Did you know that it actually takes only a tenth of second to form an impression about whether someone is attractive, trustworthy and/or credible, according to relationship expert Tonya Reiman? We mentally make judgments about people so quickly we are not even conscious of having made these judgments. We quickly assess the appearance of an individual from their hair, dress, posture, and other subtle body gestures to see how similar we are to others. We are aware that first impressions do exist, so we attempt to put our best foot forward, but what we think is our best foot, just might not be. Imagine what happens if we believe our right foot is our best foot, but someone else believes our left foot is best. In the 1920’s Dr. William Martson, behavioral assessment psychologist identifies four different behavioral styles in his book titled The Emotions of Normal People. The information is now currently packaged as the DISC Model. There are other variations relating to animals, colors, and behavioral concepts called MIND the Matters, where MIND is the acronym describing the four distinct styles: Motivator, Investigator, Nourisher, and Dominator. how we judge and evaluate others and how they judge and evaluate us. As a Motivating Style, it is natural to dress in a trendy fashion with colors, patterns and textures that draw lots of attention. Whereas the more reserved Nourisher Style would much prefer to wear natural and neutral styles to blend into the background and even walls as if they were a chameleon so they don’t get a lot of attention. In this scenario, the styles are literally opposite and given how quickly we form first impressions, the first impression from either party would not be favorable. The Motivator would think the other person is too reserved and the Nourisher would think the other person is over the top! Can we undo first impressions or are these lasting impressions? Body language expert Carol Kinsey Goman suggests 7 non verbal ways to make a first impression. She confirms studies have found that nonverbal cues have over four times the impact on the impression you make than anything you say. The key to managing our relationships is to acknowledge how we are being perceived. If we pay attention more to this and interact with others interests in mind, identifying the best foot is irrelevant because our focus shifts to connecting. To learn more about Robin Lavitch visit www.SurpassYourGoal.com, Robin@surpassyourgoal.com. As 2013 continues to unfold, some clear, important success themes have emerged from our community. • Personal Brand and social media strategist Deborah Shane opened our year in January highlighting 13 Marketing Musts for 2013, focusing on content marketing via social media. • Jennifer Samuel-Chance led a series of exercises to help you build the confidence to articulate your story. • Entrepreneur panel with Fran Powers, Dawn Pici and Elizabeth Markie presented the best tools to connect with your audience and deliver solid, impactful content to become better presenters. • Certified business coaches Barbara & Juliet Kyes outlined the top 10 strategies successful business owners use to get more out of their time and self manage their 24 hour clock. • Our social media Panel with Charise Strandberg, Kim Garst and Deborah Shane talked about the latest social media trends and best practices for small business success. • Author and expert Lisa Huetteman, presented best practices of value-centered leadership highlighting why creating the right culture is essential for long term business success. • Our First Annual Leadership Lunch in honor of International Women’s Day brought together Tampa Bay’s top women in business for networking, leadership, building core strengths and mentorship. What does it take to sustain success? Every one of us has to create their answer for this question. Depending on our situation and stage in life, we must create our best formula and strategy for sustaining our success. What do I need to do every day to make sure I am advancing professionally? Keeping up with your skills, industry information, market connections are all paramount. Keeping up with the pace of change is a daily occurrence. How do I know when to change my course and tweak my plan? Things change so fast that a plan we put in place may not be applicable or working. Don’t wait or procrastinate. Make changes when you know things are not working or moving in the best direction. The course, path and professional advancement continues to unfold for women in business. The latest State of Women-Owned Business Report by American Express Open published in 2012 provides some interesting insights into the current trends among WBEs. “There are many reasons to be positive. I strongly believe that the next five to 10 years will see a dramatic change for the better. Women managers can contribute to this by understanding that there are certain expectations related to organizational leadership, and developing their skills accordingly” says Professor Ginka Toegel, in her Forbes article Disappointing Statistics, Positive Outlook. As we continue to work on all of the areas, skills and fundamentals for success, we know that our commitment, dedication and consistency to them are what moves us forward. Was the Dali Lama on to something, when he proclaimed “Western Women will Save the World, or will women worldwide save the world?